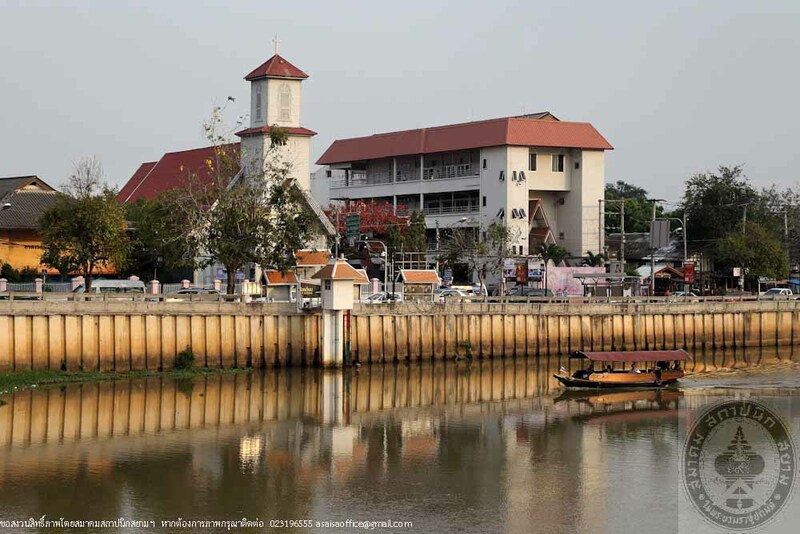 The Presbyterian Christian, a United States Protestant, began its passage in the Kingdom of Lanna through the work of Dr. Danial McGilvary, an American physician who brought Christianity along with modern science into Chiangmai during the reign of King Rama IV. The King issued a royal command for each provinces along the mission’s route to accommodate and provide safety to the missionaries. 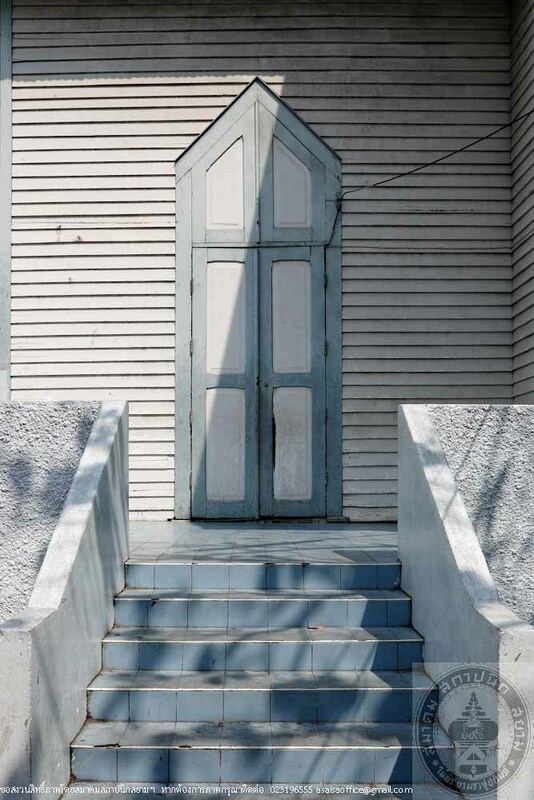 During the time when Dr. McGilvary traveled and preached Christian faith in the Kingdom of Lanna, Chiangmai became the center of the Christianity growth and therefore caused conflicts over religious beliefs and authoritarian. Chao Kawilorot, King of Chiangmai, denied freedom of religions and forbade the local from converting to Christianity which led to the execution of Nan Chai and Noi Suriya who violated their original traditions and customs and converted to the new religion, which displeased Chao Kawilorot. The incident worried the Christians and the missionaries, causing hardship in the spreading of the religion as it was suppressed in all form by the authority. Dr. Daniel McGilvary discussed the problem with the Consul General of the United States of America who reported it to King Rama V through a high commissioner. The King later issued an edict of “Religious Toleration” on October 7th, 1878 allowing the people to embrace any religions of their own choices and was regarded as a genuine right to religious freedom in the Kingdom. The Issuance of the Edict of Religious Toleration allowed the missionaries’ work to expand widely. 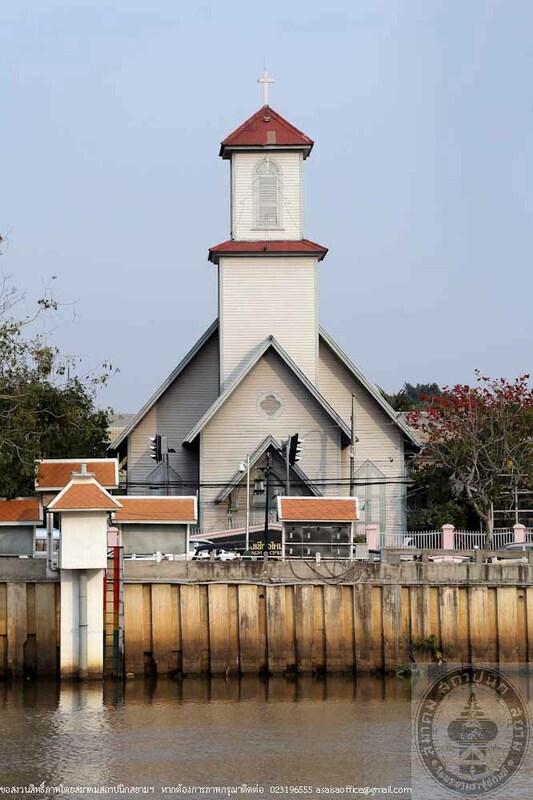 Shortly after, Norn Nanta, a devoted Christian, donated his inherited property to build Chiangmai’s Church of Christ on the eastern bank of Ping River. The church was designed and constructed by Dr. Marion A Cheek, an American missionary who worked for Dr. Danial McGilvary. After the construction of the church is completed, an opening ceremony was held on August 9th, 1891 whereas the consecration ceremony of the Cathedral Church of God was conducted by Dr. Daniel McGilvary with Dr. William Clifton Dodd performing the solemn rite of consecration. Thus, this church is regarded as the eyewitness of religious freedom in the Kingdom of Lanna. 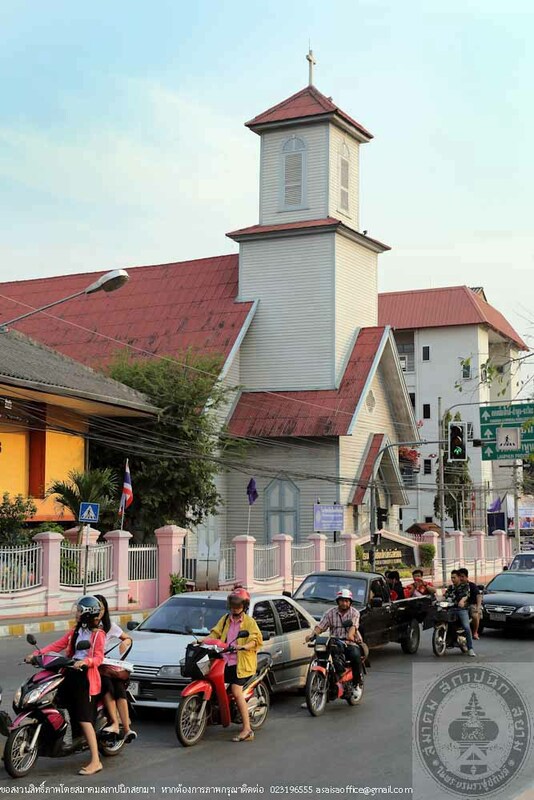 In 1968, when protestant Christian spread and was accepted throughout Chiangmai resulting in an increasing number of followers, the church became too small. 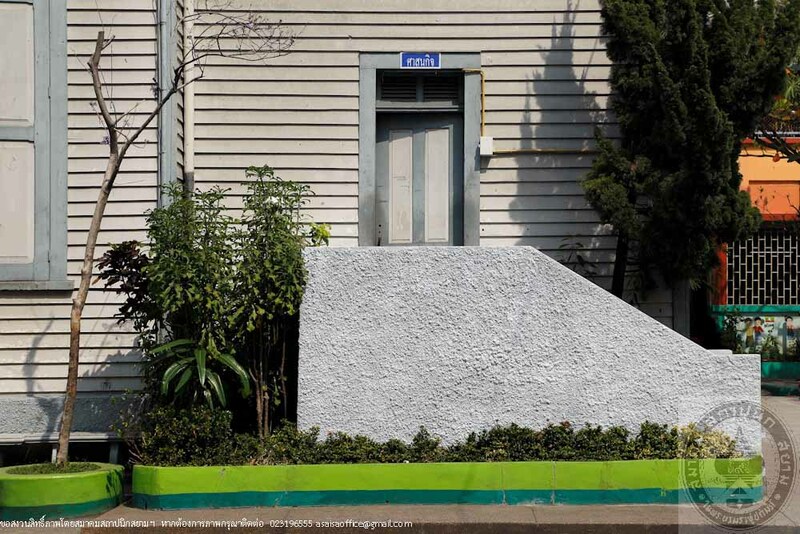 Dhammakij Church 1 of Chiangmai then agreed to build a new chapel at 10 Charoenrat Road, Tambon Wat Ket, Muang Chiangmai to house religious ceremonies and support the rapid growth of their members. 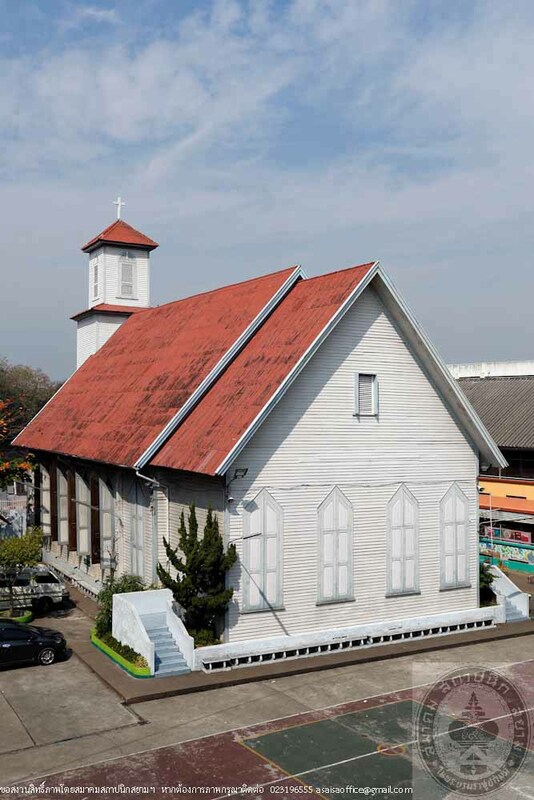 The First Church therefore fell into disuse and the property ownership was transferred to “Chiang Mai Christian College.” The site was dedicated to the study of the Christian Ethics for the students and has become the symbol of the school up until these days. The Church of Chiangmai Christian College was the first European architecture in Chiangmai, built entirely of “golden teak” with integrated layout designs of Lanna style Buddhist chapel such as the three-tiered roof in the front and two in the back and the bell tower above the front roof which was used in religious ceremonies while the back of the building consists of two recreational rooms. Carved roofing, mullion windows and doors with double glass shutters sliding up and down, 4 pairs of center supporting columns, horizontally overlapped wood siding on exterior walls and wood slat ceiling to add ventilation. The pulpit consists of two layers of raised wooden platforms each at 20 centimeter high. 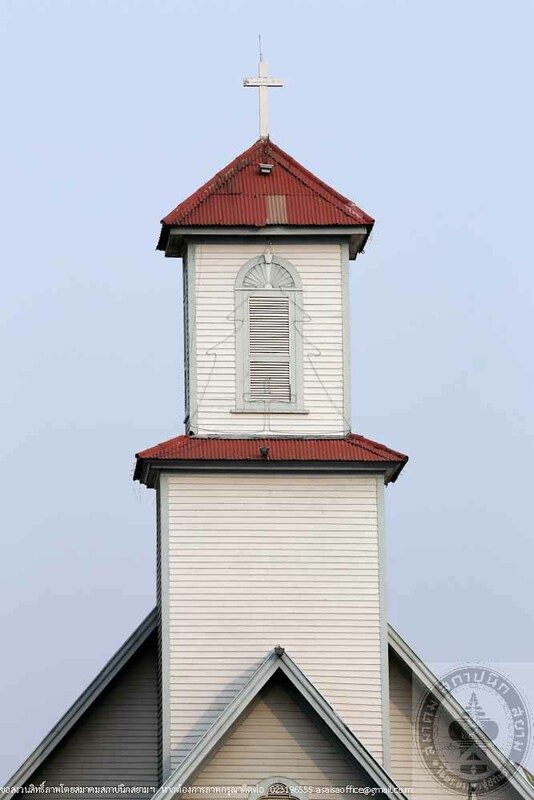 The bell tower has awning windows on all four sides with a white cross indicating the church of Christ. Under the bell tower is a small lobby with a large front door with stairways on 3 sides of the building. 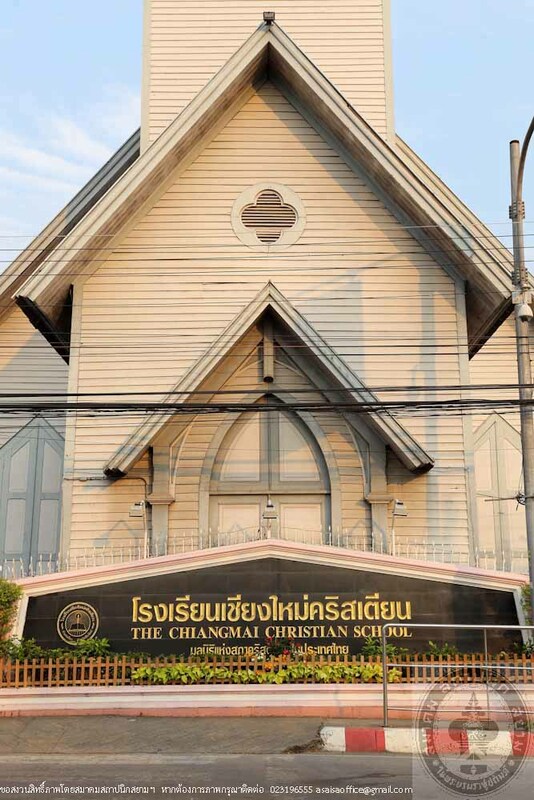 The Church of Chiangmai Christian College is a prototype of Christian church architecture in the north as well as other remote areas in the Kingdom of Lanna. Throughout the years, the church has been well maintained and is in good condition giving it praiseworthy capability to preserve its own historical and architectural values.